Inuit residents of Cambridge Bay in the Central Canadian Arctic are resisting requests by the Nunavut Government to tranquilize, collar and tag polar bears to assist in their population survey. “A female polar bear and her two cubs dash across the ice near Gjoa Haven, where the polar bear hunt has been limited for nearly 15 years. (PHOTO BY JANE GEORGE)” Story here, also by Jane George. 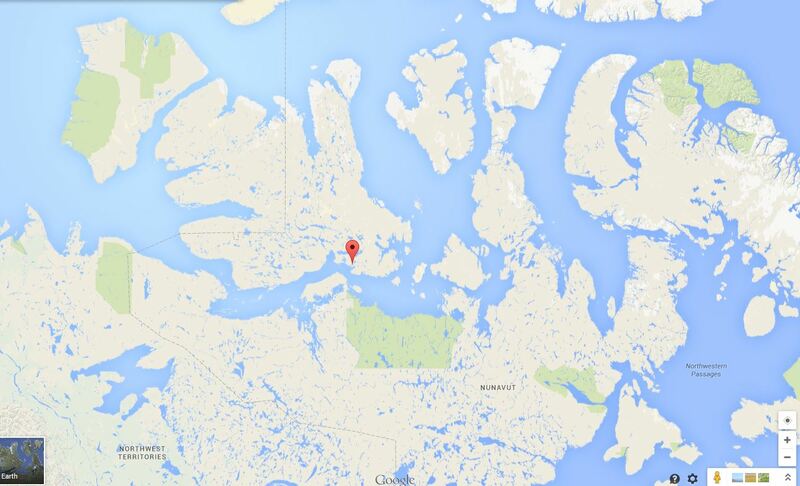 Cambridge Bay is on Victoria Island (Fig.1), in the south of the M’Clintock Channel subpopulation region (Fig. 2). Figure 1. Location of Cambridge Bay, courtesy Google maps. Click to enlarge. “The talk between Nunavut’s senior polar bear biologist Markus Dyck and the board showed there’s still a huge gap between how Inuit and scientists want to count polar bears. During the second year of its three-year McClintock Channel polar bear survey, the Government of Nunavut wants to collar 15 female polar bears and satellite tag up to 10 polar male bears, handling a maximum of 50 bears, Dyck said. But this is not a plan that went over well for many delegates around the KWRB table, who said they aren’t persuaded that this part of the survey, slated to start in April 2015, is worthwhile or necessary. Among their top criticisms: hunters say they see many polar bears and they believe the population has increased. They also don’t like polar bears to be drugged and handled, despite assurances that the tranquilizers used by researchers wear off in 42 days. 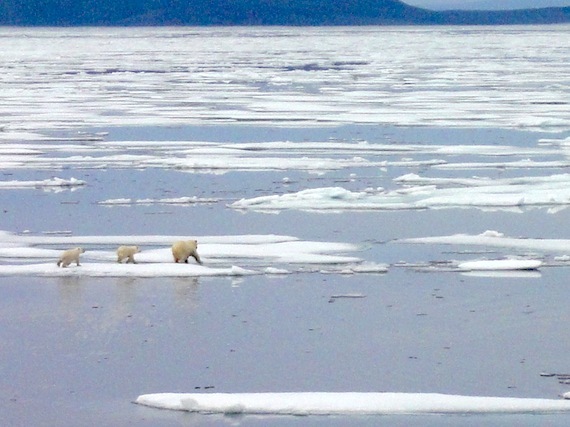 Hunters in the Kitikmeot region’s five communities haven’t been able to hunt more than three polar bears a year in the McClintock Channel since 2005. 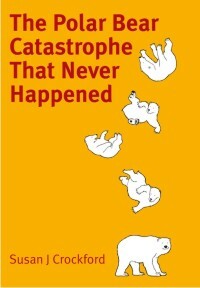 At the KRWB meeting, Dyck argued that the proposed survey, with its combination of biopsy darting, collaring and tagging, would give more a much larger, quantifiable picture of the polar bear population than than the “snapshot” observations provided by individual hunters of the bears they see. A traditional knowledge study will also be part of the survey, Dyck said. 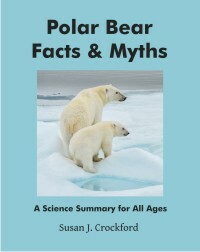 Year one of the current survey found 155 bears, including 15 family groups, with 18 cubs, looked to be in good body shape, but Dyck told the KRWB he no idea of actual polar bear numbers yet — and he appeared to suggest that he’d expect to find more family groups in 2015 if the population has increased a lot. For now, Dyck said he had “no idea what the population estimate would be.” That’s because, until the genetic sampling results are in, it’s not clear yet whether the spotters on board the survey helicopter saw the same polar bears twice. 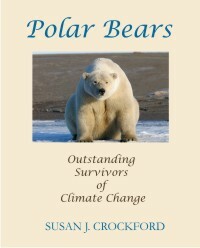 Numbers of polar bears are still considered as the primary basis for polar bear stock management, according to the 1973 “Agreement on the Conservation of Polar Bears,” which was struck long before anyone worried much about the integration of traditional knowledge into scientific research. I’ve discussed this subpopulation before, regarding the new population survey underway to get an up-to-date bear count (here) and compared the relative density of polar bear there to Gulf of Boothia, its neighbour to the east (here). This reminds me that I have been meaning to look at the failure rates for radio collars and tags over the years, relative to how many bears have been tranquilized to install them. I’ll post that information when I’ve got it together. 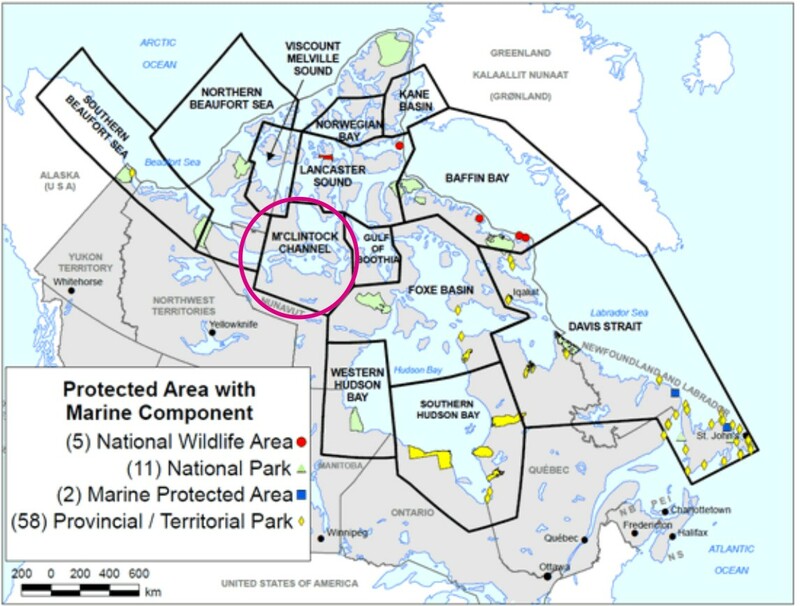 This entry was posted in Conservation Status, Population and tagged aerial survey, Cambridge Bay, counting bears, Gulf of Boothia, handling, Inuit, invasive research, M'Clintock Channel, mark-recapture, Markus Dyck, Nunavut, polar bear, population surveys, tranquilizer drugs. Bookmark the permalink.